Your wedding day is going to be one of the most important and memorable days of your life and as the bride, it really will be your big day. As the star of the day you know all eyes will be on you! To radiate that inner confidence that makes you look fantastic, you need to feel good and at-ease. That means finding a wedding dress that has that something a little special and unique, a dress that will make you feel just perfect on the big day: the dress of your dreams. At the Unique Wedding Dress Guide we've made it our mission to help you find your dream dress, the one that best fits your own personal style and wedding plans. We'll help you discover your best options and guide you to the dress that will make you look and feel absolutely fantastic on your wedding day. Choosing your dress... it's one of the most fun and exciting parts of wedding preparation. With so many different styles to choose from, these days you're really spoilt for choice. But don't let all that choice get you overwhelmed! 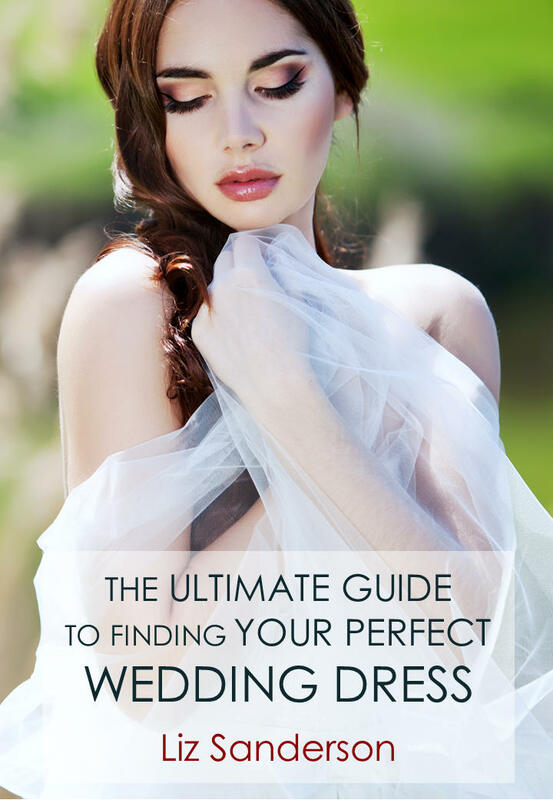 The key to finding the right dress is to first find your bearings and to chart your journey. Then you can relax and enjoy navigating through all the wonderful alternatives, sure to reach your ultimate destination: that dream wedding dress. Find your bearings and chart your journey?! OK it all sounds good, but what does it really mean? Finding your bearings simply means finding the answers to some important questions about yourself and your wedding plans. The answers to these questions help you to chart your journey. 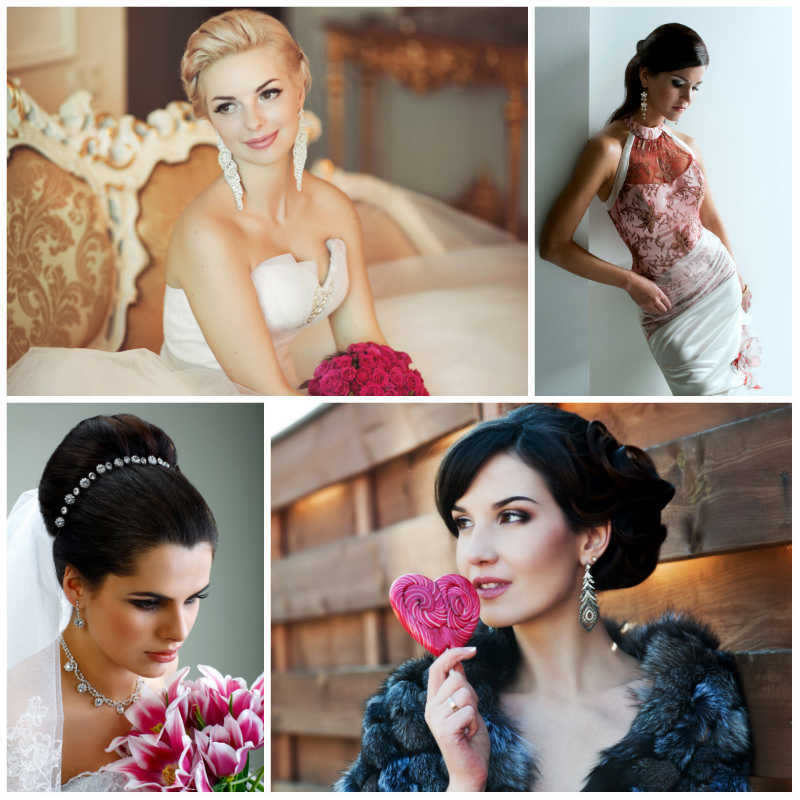 They tell you what to focus on when you're navigating through the world of wedding gowns. You figure out your own best dress-options so you're sure to find that dream dress without getting lost in all the choice. To make all this even easier, we've created a special guide: the Ultimate Guide to Finding Your Perfect Wedding Dress. Every bride is unique. You have your own unique personality, preferred dress style, body shape and your own special dreams. You will be making your own very personal wedding plans, based on the stage of life you are at now. You may already have thought, last-but-not-least, about a budget. All these aspects combine to make your choice of wedding dress a very unique choice too. The right dress for you will take into account your unique blend of characteristics and plans. Discovering which is the right Bridal Style for you is one of the most important steps when choosing where to focus your search: which wedding style will help you to look and feel your very best on your big day. Do you prefer modern or traditional? Is your wedding a once-in-a-lifetime chance for an extravagant dress-up? Do you prefer understated elegance? Or are you looking simply for something informal and original? Luckily today’s brides have a great choice and with today's relaxed convention, 'wedding dress' can mean anything from a traditional long ornate bridal gown, to a simple short dress or even an elegant trouser suit! Choosing your dress really is one of the most exciting parts of planning your wedding. Whatever your age, whether you are a first-time bride or remarrying, have fun and let the Ultimate Guide to Finding Your Perfect Wedding Dress make navigation through the world of choice so much easier. Once you've found your bearings and charted your own journey, then navigating through all the wonderful wedding dresses available really will be plain sailing! Start your journey and enjoy the search for your dream dress. To help with ideas and inspiration, we've hand-picked a big range of best designs here on the Unique Wedding Dress Guide. You may already have an idea of the style you're looking for or you might just want to browse around, looking at the big selection of different styles, to find ideas for your perfect dress. To make it easy as possible to find what you're looking for, the hand-picked dresses are presented in easy-to-find sections. Take a look at Bridal Styles, to find your own Bridal Style and to browse through dresses in a range of designs from modern to traditional and from informal to unusual. Traditional wedding gowns are still very popular, especially with brides who've chosen a church wedding. Today's relaxed convention has opened a world of alternatives. You've got so many more options of where to marry and how to dress. With so many ladies remarrying, often today's preference is for more modern, informal or alternative wedding dress styles. If you already have a dress silhouette in mind, such as evergreen A Line or more sensual Mermaid, take a look at the section on Wedding Dress Styles. For a dress with a difference, try Coloured Wedding Dresses. You can choose any one from bold red, to elegant blue, to romantic pink. 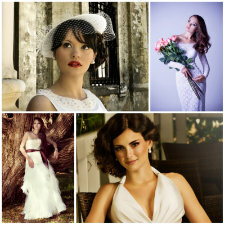 Vintage wedding gowns offer a fantastic range of ideas and inspiration. Whether you prefer to go for a vintage-inspired style or a fully-fledged historic gown, vintage is a great alternative to the traditional gown. There are of course many other places you can look for ideas. Think of how Royal Wedding Gowns have offered a wonderful source of inspiration over the years. In contrast, if you're looking for something with the unusual edge, how about a Gothic Dress? So just sit back, relax and feast your eyes on all the beautiful dresses. Follow the simple steps in our Ultimate Guide to Finding Your Perfect Wedding Dress and you will surely find the one, the dress that you know will make you feel just fantastic when you're the centre of attention on your wedding day. And, last-but-not-least, do let us know when you've found the one for you!